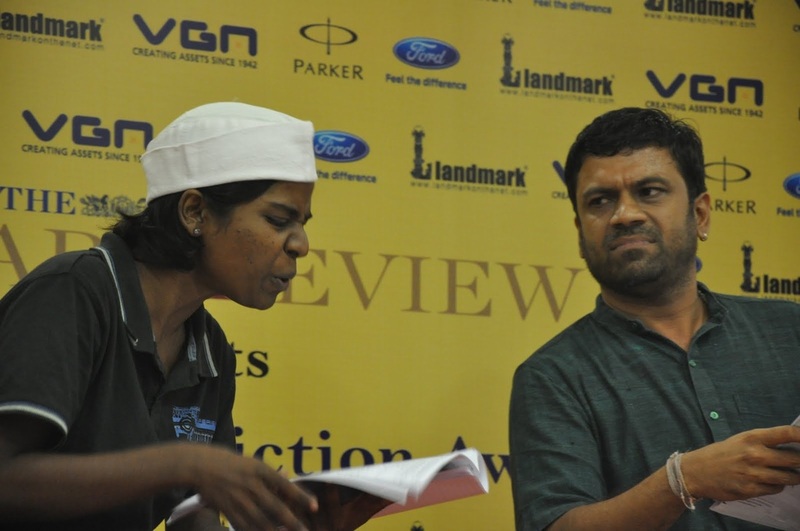 we have conceptualized and performed a range of book readings over the years. we invite you to browse through our work and contact us for creative and customized readings. book launch of raj kamal jha’s “if you are afraid of heights” for picador india in association with the culture café of the british council, chennai @ the british council, november 2003.
a series of dramatized book readings of ‘taj- a story of mughal india’ by timeri murari at various places, in 2004.
for penguin india books as part of the relaunch of the book for the 350th anniversary of the taj mahal in association with the culture café of the british council, chennai at the park hotel, chennai. on the occasion of world book day in 2008, theatre Y took excerpts from best selling books and performed them for a small gathering in the british council library, followed by a panel discussion with the judges. a book reading at landmark, citi centre, chennai, of daisy hasan’s ‘to let house’, a shortlisted book of the hindu best fiction award, instituted by the hindu literary review as a precursor to its 20th anniversary, in 2010.
a book reading at landmark, nungambakkam, chennai, of manu joseph’s ‘serious men’, a shortlisted book of the hindu best fiction award, instituted by the hindu literary review as a precursor to its 20th anniversary, in 2010.
dramatized performance of a collection of work by tamil author sundara ramaswamy on his 100th birth anniversary. commissioned by book publishers kalachuvadu and performed at kanyakumari, tamil nadu. british council chennai commissioned theatre Y to do a dramatised reading of the shortlisted books of the orange prize for fiction 2011.
theatre Y performed excerpts from the book ‘my dear bapu’, by gopalkrishna gandhi at the first coimbatore literary festival. the book is a collection of correspondence between c. rajagopalachari and mahatma gandhi. book publisher kalachuvadu commissioned theatre Y to launch a collection in tamil called agni siragugal, selected plays by Girish Karnad, translated into tamil. a dramatized reading of bernice reubens' books in 2003, coupled with extracts from film and personal notes from the members of the writing residence workshop conducted by her in chennai. a dramatized reading of prize winning and other entries and a panel discussion with the judges at the british council writers’ circle award night in 2003.
a dramatized reading of “timeri murari's ‘arrangements of love’ for penguin india, in association with the culture café of the british council, chennai. an evening of dramatized and creative adaptation of short stories by roald dahl for “the courtyard series”, the british council, Chennai, performed at the british council courtyard, chennai, february 2005.
a performed reading at the launch of the book ‘voices within – carnatic music-passing on an inheritance’ written by bombay jayashree and t.m. krishna at the music academy, chennai and the nani palkhiwala auditorium, coimbatore, in 2007.
a dramatized reading of ‘crocodile tears’ published by tulika books at the launch of the children’s book at landmark bookshop, citi center, chennai, in 2008.
book publishers kalachavudu commissioned theatre Y to do a book reading of italian writer roberto calasso’s book ‘ka’. performed at odyssey bookshop, chennai, in 2011.
yog japee of theatre Y and film actor rahul bose performed excerpts from the book ‘my dear bapu’, by gopalkrishna gandhi. the book is a collection of correspondence between c. rajagopalachari and mahatma gandhi, and was performed at the inaugural event of the hindu lit for life literary festival . theatre Y is happy to partner with kalachuvadu publishers, on the occasion of their 25th anniversary in 2013. from a discussion with alessandro baricco, author of silk, followed by a reading; then a reading and launch of the tamil translation of Gabriel Garcia Marcquez's one hundred years of solitude; as well as a reading of a collection of sylvia plath's poetry, followed by a talk with the translator, geeta sukumaran.